In honor of the holiday weekend it seems befitting to showcase one of Are You Being’s favorite new wines from Barefoot, which is sure to be a happy addition to your Sunday supper. The new Moscato is sweet, combining a fruity aroma with the juicy flavors of ripened peaches and apricots. There are subtle hints of lemon and orange that adds a crisp edge to the wine. For added sweetness I like adding some fresh raspberries or strawberries. Though my Sunday spread will be a honey baked ham and potato salad, which will be complimented by the wine’s lush flavor, the wine also pairs well with mild cheeses, fresh fruits and spicy Asian dishes. And if you have a sweet tooth, you can continue sipping this Barefoot Moscato throughout desert. For more pairing options, check out recipes from Barefoot by clicking here. Disclaimer: Samples were received in exchange for editorial coverage. For a more complete celebration, try pairing your cocktails with some of Presley’s favorite foods, including fried peanut butter & banana sandwiches, sweet potatoes, cheeseburgers and burnt bacon. To learn how to make The King’s favorite sandwich, click here to see the recipe from Paula Deen. Shake first 3 ingredients with ice and strain into a martini glass. Splash club soda and garnish with an orange wedge. 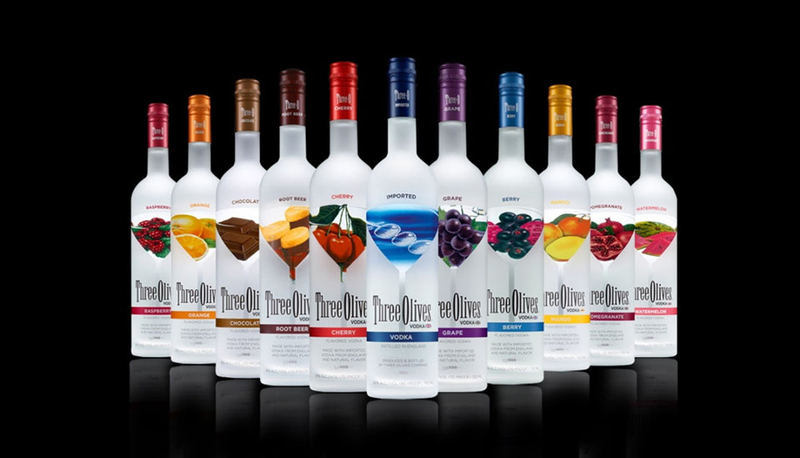 Drink recipes and images provided by Three-O Vodka. Disclaimer: No products were exchanged for the above review. 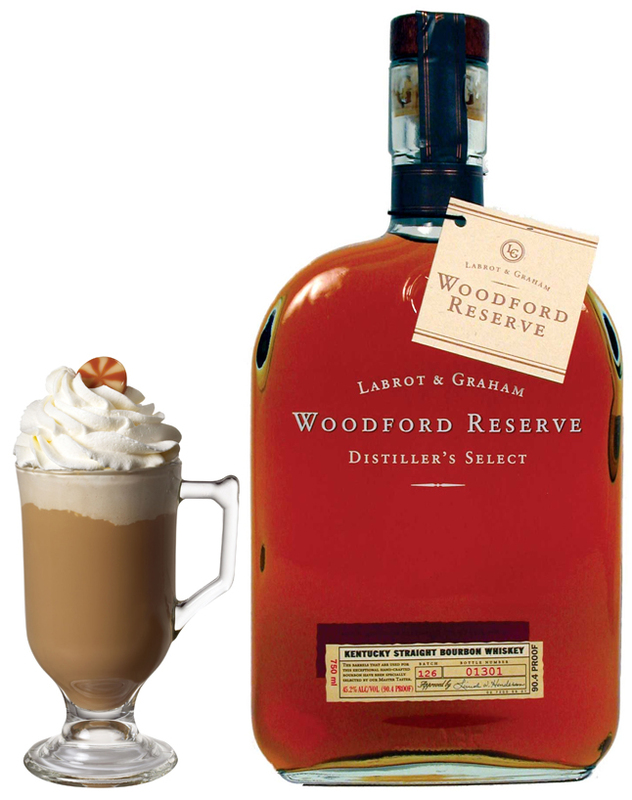 Christmas is only two days away, but you can warm your heart and satisfy your sweet tooth tonight with this delicious concoction that uses Woodford Reserve Bourbon. Combine ingredients in mug and stir. Garnish with whipped cream and a candy cane. 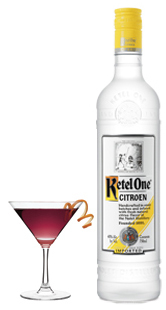 Continuing with our holiday drink series, this new drink featuring Ketel One Citroen Vodka brings a festive twist to the martini. 4 oz. fresh lemon juice. For more recipies, log on to www.TheBar.com. Disclaimer: Product was provided in exchange for editorial review. 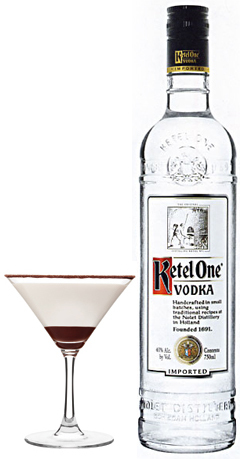 Christmas is only four days away, but that doesn’t mean you can’t get into the holiday spirit today with this yummy drink recipe from Ketel One Vodka. Not only will it feed your sweet tooth, it will give you one heck of a buzz. Pour chocolate syrup into bottom of glass. Shake other ingredients with ice in a cocktail shaker. Serve straight up in a cocoa-rimmed martini glass. It’s Friday, and if your week was anything like mine, that means it’s time for a drink. But not just any drink. As the art of blending spirits grows in popularity, it remains important to honor the classic cocktails that paved the way for modern mixology. On November 8, we celebrate the Harvey Wallbanger cocktail, which was created by Los Angeles bartender, Duke Antone, in the 1950s. As legend has it, Duke created the drink in honor of a clumsy local surfer, Harvey, who would often walk into walls after a drink or two. The cocktail reached its heyday in the 1970s when it became the era’s essential brunch cocktail. The classic Harvey Wallbanger recipe is as follows. Pour 1 ounce Ketel One vodka and 4 ounces of fresh orange juice into the glass. Once settled, using a bar spoon, float the Galliano on top. If the Harvey Wallbanger isn’t quite what you have in mind, checkout these other drinks. What other spirits and liquor do you enjoy? Share your favorite drink recipes with our readers. Intent on debunking the myth that hot weather begets light beer, Newcastle Brown Ale offers up Brown Ale 101: While the palates of dark beer lovers don’t change in the summer, restaurants, bars and backyard BBQers forego year-round appreciation of the brown ale for its thin, clear-ale counterparts. Color: Golden-brown in color, Newcastle is not one but two beers, combining English Pale and Dark Caramel malt in a recipe perfected by Colonel Jim Porter in 1927. Calories: Darker beers don’t equal more summer calories. Newcastle Brown Ale weighs in at 140 calories per 12 oz. serving. Food: The robust flavor of brown ales, like Newcastle Brown Ale, allows them to pair well with red meat, fish and chicken – three cornerstones of summer grilling. Smoothness: Bottled with less CO2 than its competitors makes it a smoother option.